Pictured are (left to right) Tricia Schenefield; Beth Whaley; Auxiliary Unit President Deborah Chambers; Miranda Latimer; Auxiliary Unit Education Chairman Mary Anne Yuncker; and Carol Franz. School recently started again, and the need for school supplies is expensive. For students and families who have a hard time affording the required items, the American Legion Auxiliary Unit #287 was there to help. 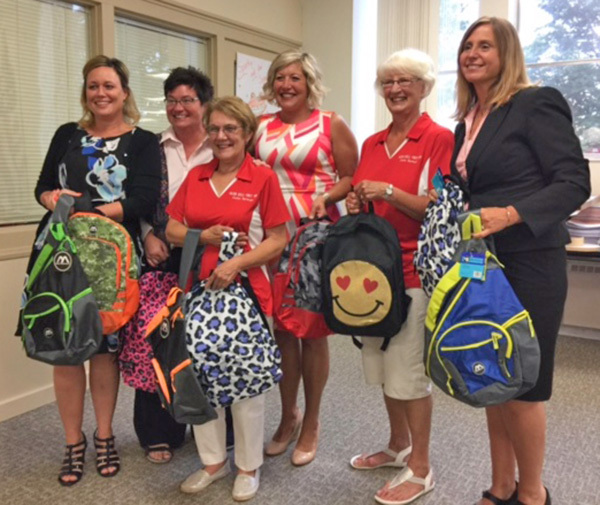 The Auxiliary provided 50 backpacks filled with school supplies to the Cedar Springs elementary schools. The bags were presented to the school principals at the August School Board meeting and divided between the schools.